Why should I do this? 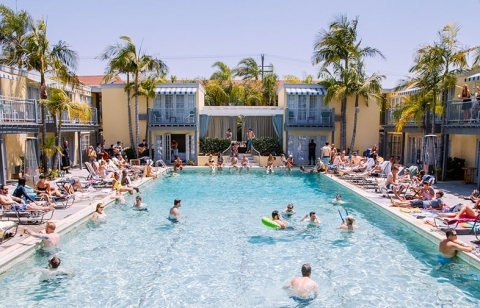 Locals know that the Lafayette Hotel has some of the best pool parties of the summer. The Lafayette is also the host of lots of other special events that San Diegans love. This year the iconic hotel is celebrating its 70th anniversary, and you shouldn’t miss it! Why should I do this? 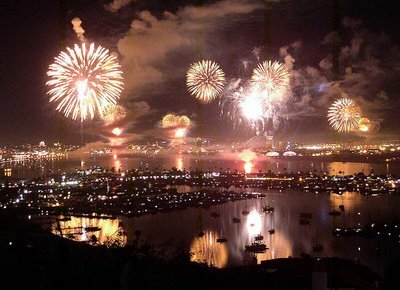 The best summer holiday in the USA, 4th of July celebrates America’s independence and freedom. 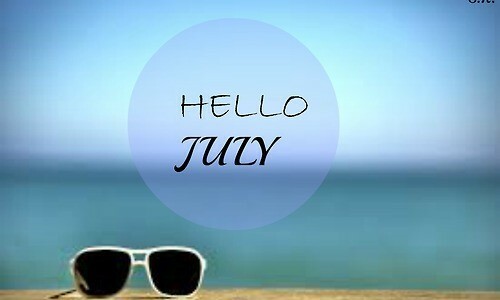 There are fireworks shows, barbecues, parties and much more. 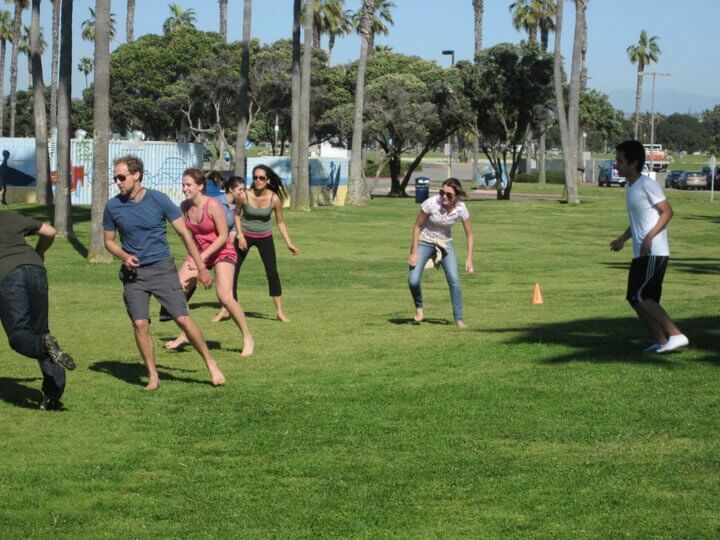 The beaches are an excellent place to hang out, but San Diego’s parks are a lot of fun too. Why should I do this? This mid-summer baseball event pits the best player of the National League against the best players of the American League, and this year it is happening in our beautiful city. In addition to the game on Tuesday the 12th, there is a whole weekend of fan-based events and activities to attend in San Diego. Why should I do this? Put on your kit and let’s get on the pitch! Connect English students from all three of our San Diego campuses will come together to see which campus and perhaps which country is the best. A simple afternoon of playing the world’s most popular sport will be a great chance for students to get some exercise, make new friends, and show everyone who is the best. Why should I do this? 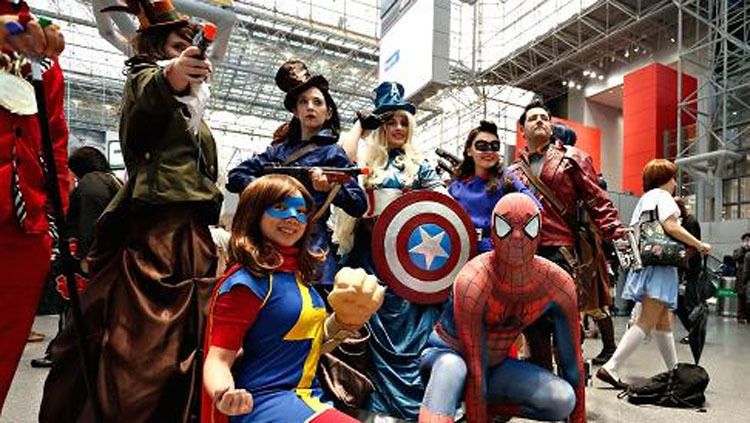 This world-famous convention brings together an interesting mix of movie stars, TV show stars, video game characters and themes, directors, bloggers, fans, party animals and other “geeks” like those on The Big Bang Theory. Attendees dress in costumes of their favorite characters too. It is an opportunity for students to get extra insight on the most exciting movies and TV shows of the past, present and future. Make sure to get on the lists to go to all of the theme parties at the downtown clubs that weekend too. Why should I do this? The Festival of the Bells is an opportunity to look deep into the history of the city of San Diego. The Mission San Diego de Alcalá is the oldest historic building in San Diego, built in 1769. It is actually older than the USA! All five Mission bells are rung during the weekend festivities, including an original bell dating back to 1802. The Festival of the Bells is a great family event with activities and entertainment for the whole family and is a great opportunity for everyone to visit and learn more of this historic landmark. The festival will have mariachi music, activities for kids, and lots of food. This interesting site is very close to Connect English, San Diego, so transportation is going to be easy. Why should I do this? The San Diego OTL event is the world championship of Over the Line events. Three-person teams come from all around the world to compete in this two-week event featuring players, crazy fans, sunshine, beer gardens and the beach. Why should I do this? Have you tried bowling before? Well, even if you haven’t or you already know that you’re terrible at bowling, you’ll have a great time with your Connect English classmates. We have done this activity every summer and the students always love it. You can see pictures of past Connect English bowling events on the Connect English Facebook page. Why should I do this? The rich and famous are here, and so are the regular fun-loving citizens of San Diego. 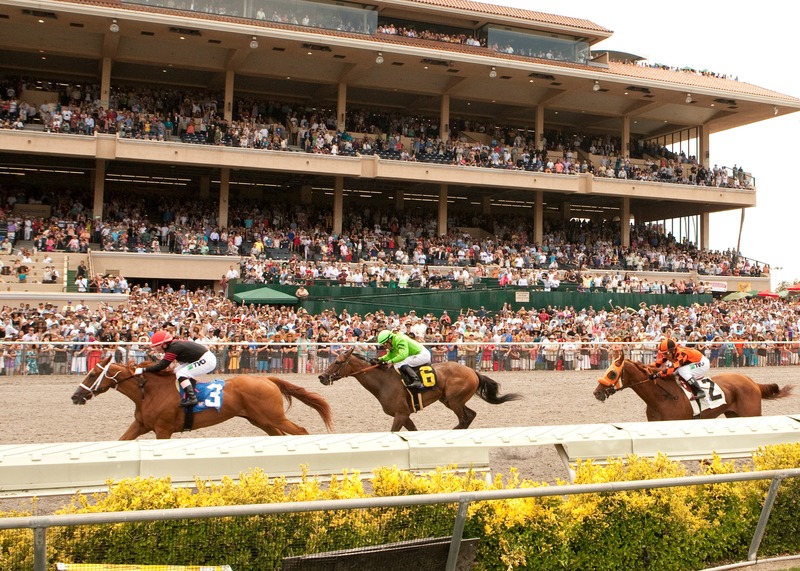 Wear your fanciest summer outfit (including a big hat), bet on the horses to win money, or just enjoy the sun and music of beautiful Del Mar, in North County San Diego. On Fridays of racing season, some excellent bands play shows at the Del Mar Race Track too. The list of these bands will be announced in the spring. Come back to our blog to see the list once it is available. Why should I do this? 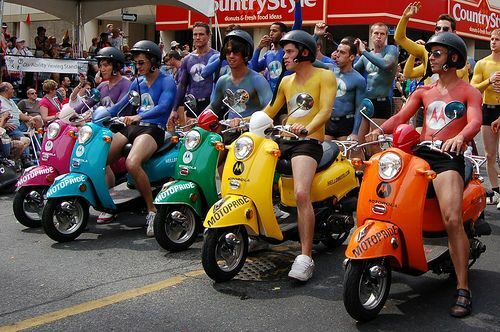 The annual San Diego LGBT Pride Parade is the 5th largest in the United States attracting 150,000 cheering spectators and significant media participation. Celebrate alternative lifestyles at this high-energy, high-volume festival in one of San Diego’s best city parks. Why should I do this? There are 1000 spaces available for all who love yoga. Why not practice some yoga on the deck of San Diego’s most famous museum? Namaste! Why should I do this? Nothing says summer in the USA like going to a baseball game. Even better, seeing a game between the rival Padres and Giants. Experience this American tradition with tons of Connect English students in San Diego for the summertime. Come with your old friends, and make new friends too! Why should I do this? 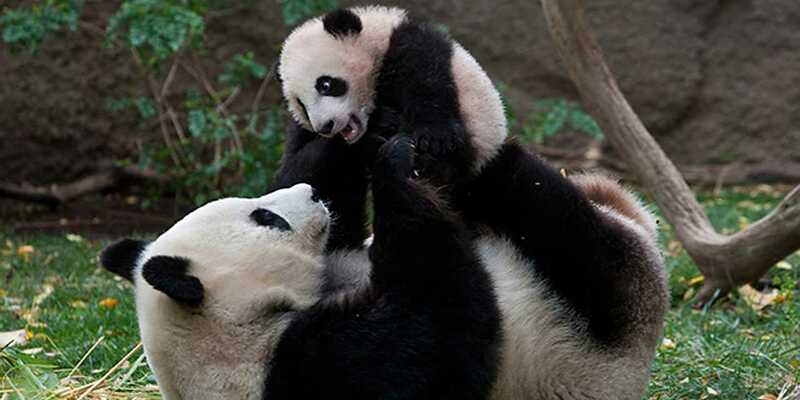 The San Diego Zoo is famous all around the world, and for good reason. This is your chance to see pandas, elephants, reptiles and many more amazing animals up close and personal. Connect English students get a great discount price. Instead of the normal price of $50, Connect English students and friends pay only $20 per ticket. Why should I do this? Get the chance to try 40+ breweries and unlimited samples of over 100 craft beers. Dress up as a super hero to have even more fun, and you can win prizes! This event will also include music, entertainment, merchandise and food vendors.